Splatoon 2 Nintendo Direct July 6 2017 | Nerd Much? You know what would be even cooler? If they just let the game release and list all it’s exciting features then, instead of these tiny snippets like we’re supposed to somehow get hyped about it. Despite Splatoon 2 releasing July 21, 2017, it seems Nintendo is keen on trying once again to get people hyped about the game. The Nintendo Direct will be coming July 6, which is this Thursday, at 7am PT. Which is obnoxiously early for some people. 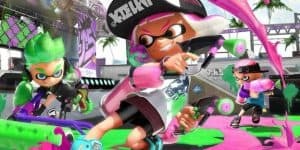 Nintendo promises that it will be an “in-depth refresher” on Splatoon 2, which makes it sound even less like they’ll be announcing anything new, much less worth getting hyped about. That said, we should keep in mind that Splatoon 2 is probably the most successful new IP from Nintendo in quite a few years. The company hasn’t tried brand new IP like this for their mainstream audience for a long time. Splatoon 2 is a sign that Nintendo is perfectly capable of making new IP and making it interesting enough to fit among the stars like Mario and Zelda. As to the reason for this Direct, your guess is as good as mine. Nintendo has told us that Splatoon 2 is bigger and better than ever before, with a few new features, but not quite enough to get hyped about, depending on how big a fan you are for Splatoon.